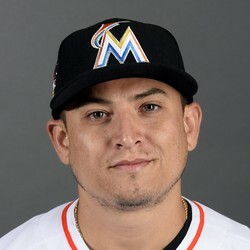 Javy Guerra recorded two outs in the ninth inning of Monday's win over the Cardinals to earn his first save of the season. It's not often that a pitcher with a 6.23 ERA and 1.61 WHIP gets called in for a save situation, but that's how Guerra found himself on Monday after Kyle Barraclough struggled again. It does not seem like Guerra would be in line for save chances even if Barraclough was removed from the role, so consider this a one-off.